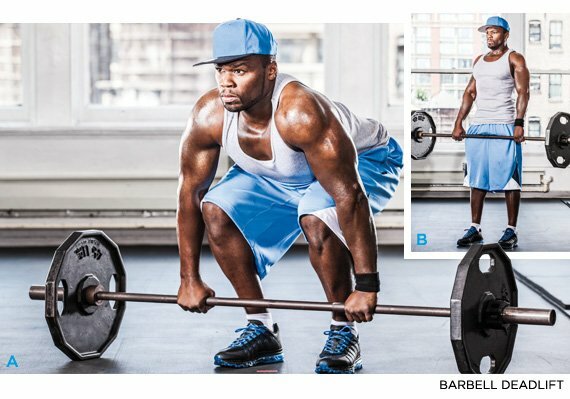 This excerpt from 50 Cent’s fitness book will place you on the fast track to a new body. 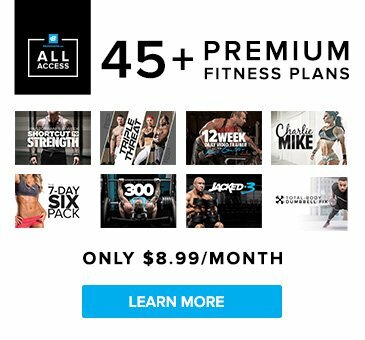 Check out the first week of advanced workouts! Folks who know me best don't call me 50 Cent; they call me "The Machine." I may have gained fame singing about hanging in the club, but truthfully, my greatest vice is overwork. I go hard all the time and thrive off being strong, successful, fit, and the best version of Curtis Jackson that I can be. Besides, I just love winning. I hate that we're losing America's fitness battle. We may be the land of the free and the home of the brave, but we're also the land of the couch and home of the potato. Thirty-six percent of United States adults are obese. Another 33 percent are overweight. One in three has either diabetes or pre-diabetes. Those stats are much worse for African Americans, who are 70 percent less likely than others to exercise. Formula 50 is a mind-body plan that can transform anyone serious about shaping up. The basic 6-week plan targets beginners. People with more workout experience can follow the more advanced 6-week plan. Ideally, you'll progress through both plans over the course of 12 weeks. At that point, your body will be better than one of my hottest tracks. I'm a recording artist with a passion for fitness. I've spent a lot time around world-class athletes. I know what works for me. I'm not a certified personal trainer, a registered dietitian, or a Ph.D. in nutritional science. But those experts all contributed to this work. I collaborated on the workout plan with one of America's elite trainers, Joe Dowdell, CSCS, CPT, founder and CEO of Peak Performance in New York City. On the nutrition approach, I worked with Layne Norton, a bodybuilder with a doctorate in nutritional sciences from the University of Illinois; and with Stephanie M. C. Wilson, MS, RD, CISSN, LDN, head of nutrition at IMG Academies. These fitness rules from 50 Cent are worth their weight in gold chains, both inside and outside of the gym. 50 Cent makes healthy nutrition convenient, easy, and tastier than ever. Follow his Formula 50 nutrition plan below! Follow my Formula 50 program, and your body will improve by 50 percent in 6 weeks. Body fat will decrease by 10 percent, energy will increase by 20 percent, and strength and endurance will improve by 20 percent. Your gains will total at least 50 percent. Try the first week of the advanced phase. Like the entire program, it's based on metabolic resistance training (MRT). You'll want to follow one of the two 6-week programs for my transformation contest that launches on January 15th. Let's get after it. You can find me at the gym—and that's where I want to see you. Each strength-training session should begin and end with a leisurely paced 3-5 minutes on a treadmill or other cardio apparatus. This is your warm-up and cool-down. Energy system training: You're going to do six intervals, going hard for 1 minute before backing off to a slower pace for 2 minutes. Note on sets: When you see exercises preceded by the same letter, complete those sets before moving on to the next pairing. For example, do one set of split squats (A1), rest 30 seconds, do a set of bench presses (A2), rest 30 seconds, spend 60 seconds on the bike (A3), and then rest 60 seconds. Only after finishing all three sets of all three exercises do you proceed to the next pairing (B, in this case). Rest another 60 seconds and then perform those sets in the same consecutive fashion. Note on weight: Choose a weight at which you fail in the desired rep range. For the bench press, if you can do only 7 reps, your weight is too heavy. If you can do 11, it's too light. Adjust your weight selection accordingly. Note on tempo: "Tempo" refers to the speed of movement. For example 3-1-1-0 means: 3 seconds lowering the weight; 1-second pause in the lengthened position; 1 second to raise the weight; no pause ("0") in the contracted position. Do flexibility training and foam rolling after your workout. Note on sets: When you see exercises preceded by the same letter, complete those sets before moving on to the next pairing. Do one set of deadlifts (A1), rest 30 seconds, do a set of incline bench presses (A2), rest 30 seconds, spend 60 seconds on the Versa Climber (A3), and then rest 60 seconds. Only after finishing all three sets of all three exercises do you proceed to the next pairing (B, in this case). Rest another 60 seconds and then perform those sets in the same consecutive fashion. Note on weight: Choose a weight at which you fail in the desired rep range. 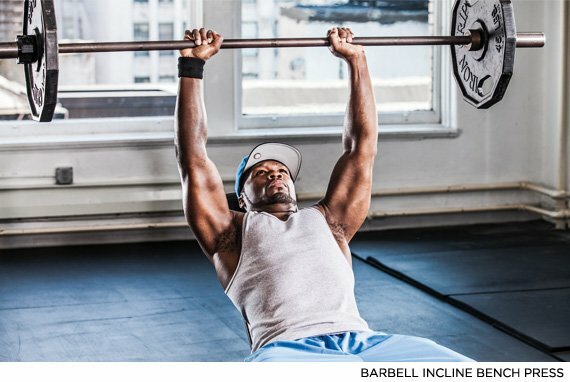 For the incline bench press, if you can only do 7 reps, your weight is too heavy. If you can do 11, it's too light. Adjust your weight selection accordingly. Note on tempo "Tempo" refers to the speed of movement. For example 3-1-1-0 means: 3 seconds lowering the weight; 1-second pause in the lengthened position; 1 second to raise the weight; no pause ("0") in the contracted position.